It's time for the launch of the prettiest dimensional bag dies on the planet. Join Jodie today on Hochanda as she demos and shares the beautiful makes from the team. There are so many gorgeous options to decorate with these dies but I'm sharing one that is just plain today. These are so easily put together, all the score lines are in place and all you need is a roll of high tack tape or glue and you are all set. This is the Tonic Crochet Lace gift bag die set and it is sumptuous in it's detail. I chose a 260gsm weight card for the base of the bag and picked some of the gorgeous designer paper from my stash to make a very feminine version. With the addition of some yummy lace and a pearl 'ribbon' it was very quickly put together. 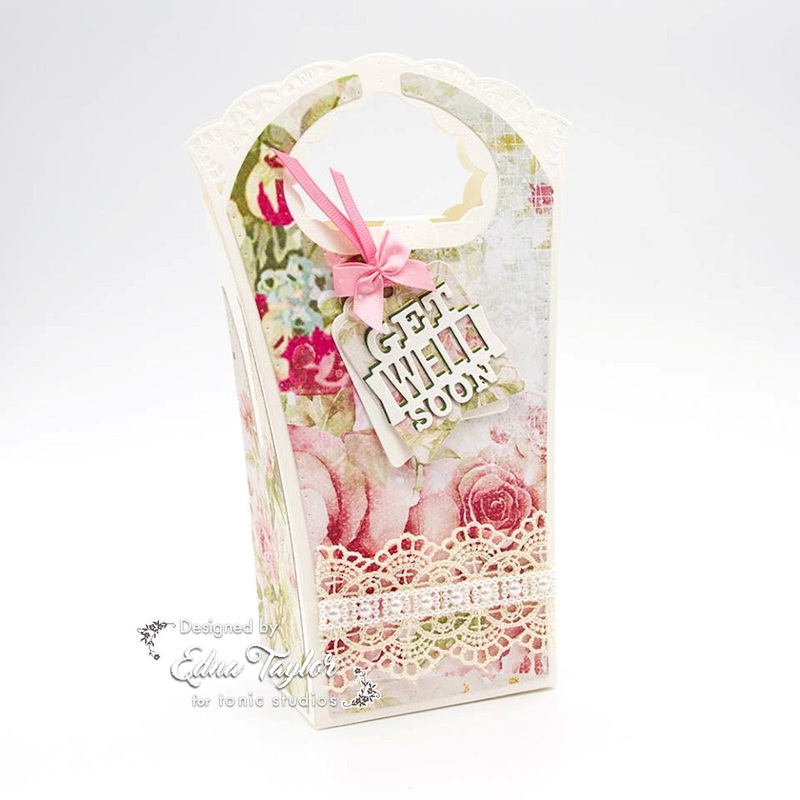 The tags and sentiment come with the die set that also contains a Congratulations banner and Happy Mother's Day tag. You can really make these bags your own with your choice of colour and embellishments. Catch up with the launch again at 3.00 pm and 9.00 pm today. Thank you for calling in. See you soon!